For today’s consumer who is constantly battling with the clock to find time, iStore helps in ordering products online and delivers them right to his doorstep, eliminating the need to stand in a beeline for hours to buy a product. 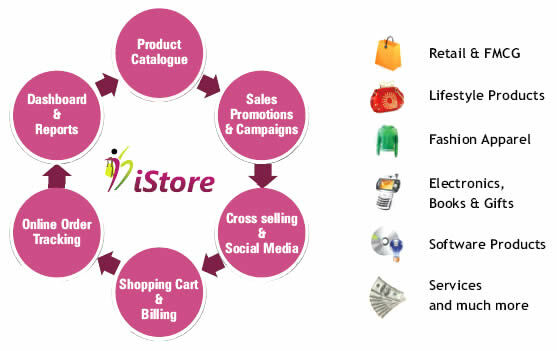 It is so easy for your customers to shop with a well organized iStore shop. Customers can search for the products they look for and place the order by selecting them from the smart shopping gallery. The payment can be easily made through a secure payment gateway.